We have moved in Paris from the 8th arrondissement to a bigger and much brighter apartment in the 4th, in a very non-commercial part of the Marais. Before leaving, we had dear friends to dinner for one last meal "around my French table" (with apologies to Dorie Greenspan, author of a wonderful book with the same title; well, not apologies because she is going to get a big plug in this post). It's spring, so we started with white asparagus, which happens to be one of our friends' favorite food and was beautiful at the market. 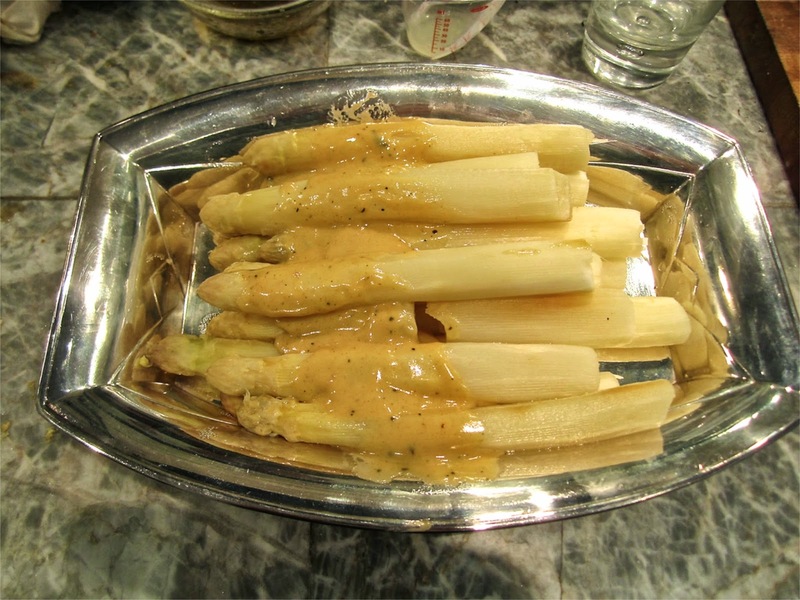 I used Jacques Pépin's simple way of cooking them (steaming in a covered wide skillet) and his classic mustard sauce. Then, a pork roast with mangoes and lychees from Dorie's Around My French Table: interesting and really successful blending of the sweet and sour of fruits exotiques with savory thyme and French aromatics. 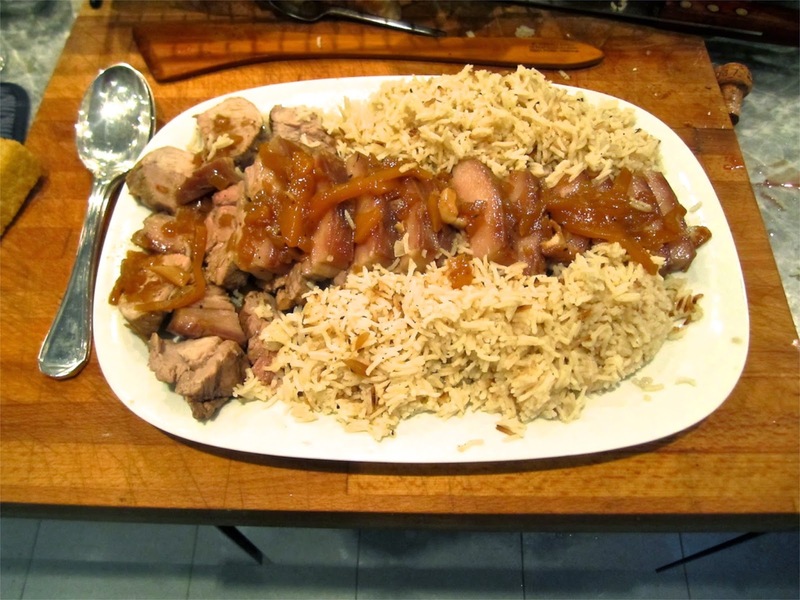 Accompanied by Dorie's heavily scented cardamom pilaf, which made an excellent counterpoint. 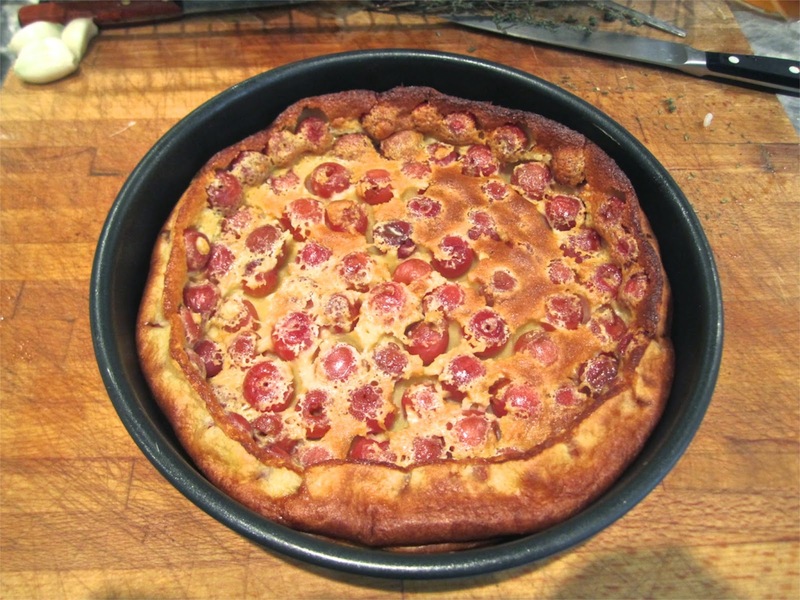 There came salad and cheese, bien sûr, followed by a cherry clafoutis, a mandatory dessert in June, another recipe from Dorie's book. A fond farewell to an apartment that served us very well for nearly 13 years!